For those that are interested in playing on a club or select team, these are the programs that we know of. If any are missing, please let us know. Most of these programs have year round components (with a spring break for local town programs.) Some of these programs also have developmental components. If you're interested in any of these, please check their websites as tryouts are held at various times throughout the year. 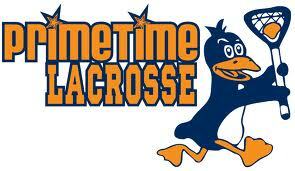 The Power Penguins program is associated with Prime Time Lacrosse. Teams are formed by age groups U11, U13, U15 and U17. Laxaxhuestts has a number of teams from 4th grade through high school. NESLL has a spring league option and a summer travel tournament option. The Boys will select three regional teams – North, South and West at the U13 and U15 levels. Mass Elite has club teams covering 5th grade through high school. 128 Lacrosse is a Select High School Boys Lacrosse club program. It was founded in 2010 by head varsity coaches, Dave Walsh of Lexington High School and Dave Wainwright of Needham High School. Top Gun's All Star programs have three components: the Fighting Clams (Top Gun's "elite"), the Rising Clams (9th/10th graders) and the new Littlenecks (6th/7th/8th graders).